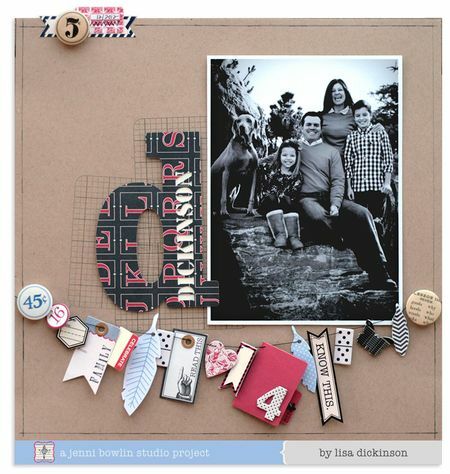 Several of our crew are off in Anaheim, California as we speak, working at CHA Winter 2013, the biggest trade show for scrapbookers for the the entire year. 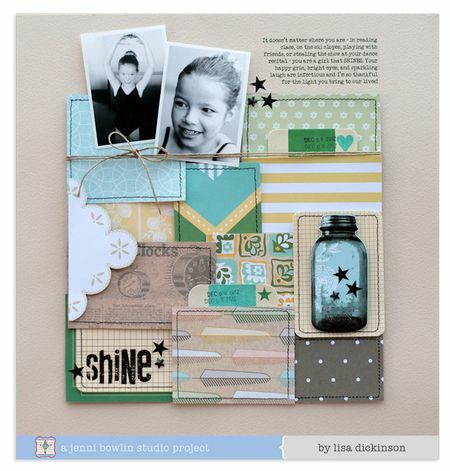 Here are a couple of Lisa's layouts created for show featuring her new line, Modern Mercantile. And a third below featuring Red/Black Extension V and several of Jenni's new embellishments. 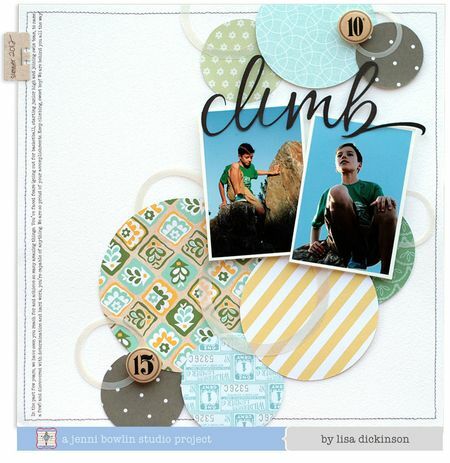 Check Lisa's blog for more information, details shots, and a couple bonus card ideas! These are all just amazing.